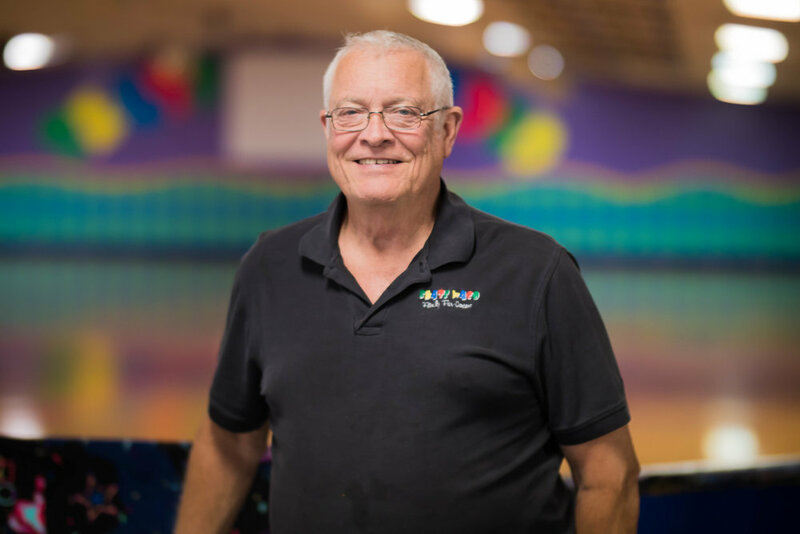 Why I Chose Skate Waco: Well, to tell the truth, I wanted to be a speed skating coach and I needed to have a rink for my team. I couldn't afford to rent a rink for my team so I decided to buy one instead. Skate Story: Started skating when I was 4 or 5 years old ever since I can remember. My Grandfather gave me metal clamp on skates to skate in front of their house and my grandmother took us to the rinks. We had a great time! I've been skating ever since. North St. Mary's roller rink in San Antonio, Texas was where I had my first job handing out skates and I did it just so I could skate all of the time. As I got older I kept skating and it was all I wanted to do, so I did. I've been coaching since my early 20's. Family: Married to my beautiful wife Barbara Lucas for 11 years and I'm looking forward to the next 11. My mother is 97 years old and I'm very thankful for her. I taught my only daughter, Gypsy, how to skate all her life and she now lives in Austin, Texas. She works for Jackson Skates and Atom Wheel Company. They specialize in equipment manufacturing of roller derby and speed skating wheels. Gypsy coaches speed skating at the highest levels, she's been a US World team coach 4 times, World champion speed skater 4 times and X games downhill champion 2 times. Hobbies: Playing golf, RVing and collecting antique cars. Key To Success: Marry a Certified Public Accountant. If you love what you do then you never work a day in your life. Why I Chose Skate Waco: I actually chose Charlie. When I married him in 2008, the skating rink became apart of everything that "We" do together. Skate Waco is something that we can love and have together just like each other. Skate Story: I began skating around age 8. Although, I had no idea that a skating rink even existed. I had these metal skates with metal wheels that strapped over my shoes and were designed for skating on the road. I skated everywhere for years and still laugh when I think about the noise they made and how my feet would tingle with numbness after taking them off. My first time in an actual skating rink was 12 years ago when I attended a Ballroom dancing lesson at Skate World only to discover two amazing things; an indoor skating rink with no metal wheels and my adventerous husband, Charlie. Family: I grew up in Illinois with my loving family in which I am the youngest of 5 children. Hobbies: My hobbies (in no particular order) are Ballroom dancing, Country dancing, sailing, solving crossword puzzles, anything mystery, and singing in the church choir. I would like to eventually write a novel and audition for an acting part in hopes to create a new hobby. Key To Success: I believe in the golden rules of saying please and thank you, always being early (a work in progress), and remembering to keep my word. Why I Chose Skate Waco: Charlie Lucas is the reason I chose Skate Waco. My work is to prolong his skating legacy and all of the stories that come along with it. He has an incredible knowledge of roller skating and speed skating. Charlie and Barbara provide a family environment to Waco and surrounding areas and I want to be part of that. Skate Story: In 1979 I started skating at 10 years old at a rink in Memphis, Tennessee called East End. Six months after that I became much more involved in speed skating and traveling with the team. When I was 15 I met Charlie Lucas through my own coach. In 1989 I became a speed skating coach there and enjoyed every minute of it. Family: In our family we have 9 children and my beautiful wife, Angelic. They are very involved in the rinks with me and are very supportive of my coaching, management and role as their father. I love them very much. Hobbies: My hobbies consist of living and breathing for skating. I'm a skate person no matter which way you slice it, and I love coaching the speed team. Keys To Success: To be personable with people around me, never meet a stranger and love what I do. Why I Chose Skate Waco: I love to skate and I love helping people. Helping kids have fun is something I'm passionate about. I appreciate the fun I get to have with the staff too. Skate Story: When I was a kid I was a "rink rat" and I met my wife at the rink 25 years ago. We've been together ever since. To this day we have fun and skate with all of our children. Family: My wife Kristi and I have 3 girls, 3 boys, 4 grandchildren and 2 more grandchildren on the way. We've been happily married for 26 years and I'm an Army Veteran of 6 years. Both of my sons serve our country. One is in the Navy and the other is in the Army. It's all about family. Hobbies: Skating and running. I don't think I'll ever stop skating. Key To Success: Have fun and help families make memories. Why I Chose Skate Waco: My why is because I love being part of making people happy and making them smile. My desire is to make people smile for years to come. Skate Story: Temple is where I grew up skating and my boyfriend was very good. He's the reason I wanted to become a better skater. When I was little I wore big pom poms on my skates. To this day I still love to skate. Family: I have 3 children and 5 grandchildren from 4-16 years old. Four years ago my family started getting involved in skating. I convinced my daughter to put my grandson in skate camp in 2016 and now he is part of the speed skating team! He made it to the 2017 National Championships in Lincoln, Nebraska. Hobbies: Being with my grandchildren, baking cakes and decorating cakes. Key To Success: Have fun, make it happen and enjoy what you do! Learn something new every day. Why I Chose Skate Waco: I grew up here, and never forgot my love for skating. I also love the staff and the customers I get to interact with on a daily basis. It has been a year now since I started and I love it. My favorite part is working with all of the kids whether I'm a party pal helping them and their families directly or managing a shift. Skate Story: I started coming to Skate World when I was around 6 or 7 years old with my family. My 8th birthday party was actually held at Skate World. As my cousin and I got older you would find us here on Friday and Saturday nights skating and having a blast. Family: Of the three of us I am the youngest child between my self and my biological brother and sister. Also, I have 3 step- siblings. I've lived in Waco all but two years of my life that I spent in Dallas while my Mom's job temporarily transferred us there. Hobbies: I LOVE kids, so that's why I am attending Baylor University with my major in elementary education. Since the 4th grade I have competed in choir competitions and I love singing. After work I spend my time reading and watching Netflix. Key To Success: Always find ways to promote a safe, loving yet fun environment. Helping kids have fun in a safe and loving environment is the most important part of my job. After all, we are a Family FUN Center! Seeing kids smiling, laughing and begging their parents to come back again is so rewarding and always reminds me that I love what I do.